In the late 1930s China is in dire straits. The country will collapse under Japan’s military juggernaut if it doesn’t get outside help. Chinese American firebrand Li Ling-Ai jolts Americans into action with a new medium — 16mm Kodachrome color film. She hires photojournalist Rey Scott to travel to China and capture a citizen’s perspective of the war-torn country, including the massive bombing of the wartime capital Chungking (now Chongqing). 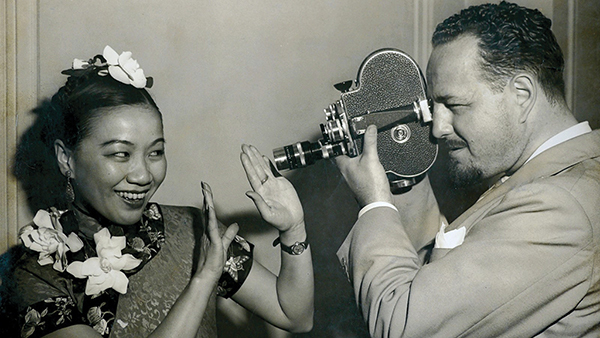 Their landmark film KUKAN screened for President Roosevelt at the White House, was called “awesome” by the New York Times, and received one of the first Academy Awards for a feature documentary in 1942. Why have we never heard of this remarkable woman, Li Ling-Ai? And why have all copies of KUKAN disappeared? Filmmaker Robin Lung goes on a 7-year quest to find the answers.